For many Americans, the holidays mean family, food and overspending. 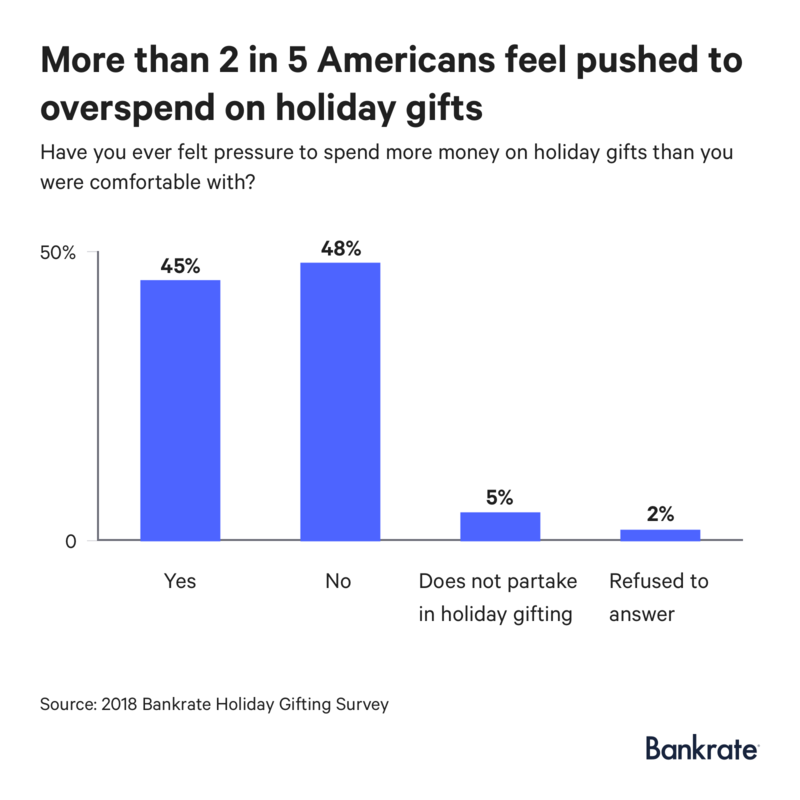 More than 2 in 5 gift shoppers feel pressured to reach deeper into their wallets than they’re comfortable with, according to the 2018 Bankrate Holiday Gifting Survey. 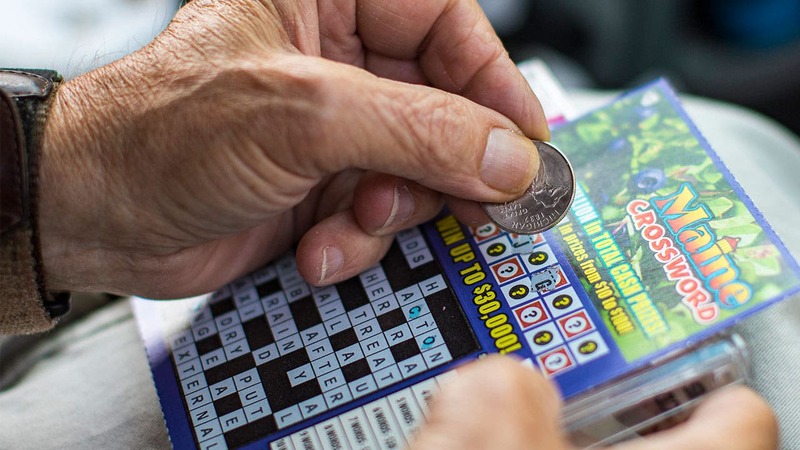 Despite budget constraints, there are some lines most people refuse to cross to save money. Buying used and re-gifting are generally considered to be on the naughty list, the survey finds. 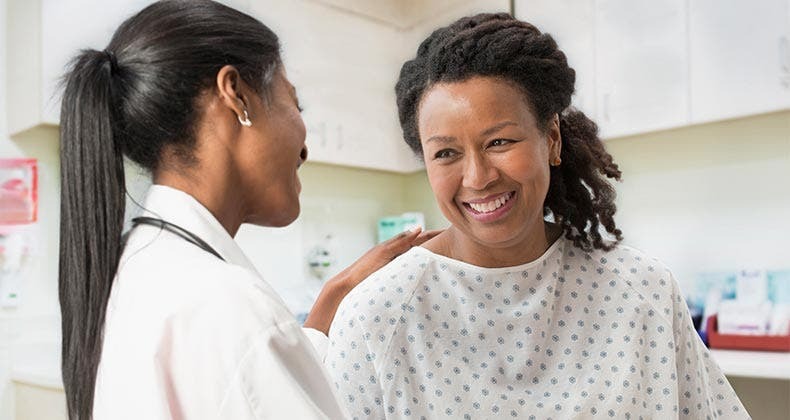 Feeling anxiety around providing a “magical” gift or exceeding someone’s expectations is natural, says Suzanne Degges-White, Ph.D., chair and professor of the Department of Counseling, Adult and Higher Education at Northern Illinois University. “If you let yourself forget that Hallmark had it right when their tagline became, ‘It’s the thought that counts,’ you can be swindled into spending a lot more than you can afford in your efforts to prove your affection and devotion,” Degges-White says. The survey was conducted online in Ispos’ Omnibus. The sample consists of 1,000 nationally representative interviews, conducted between Oct. 12-14. 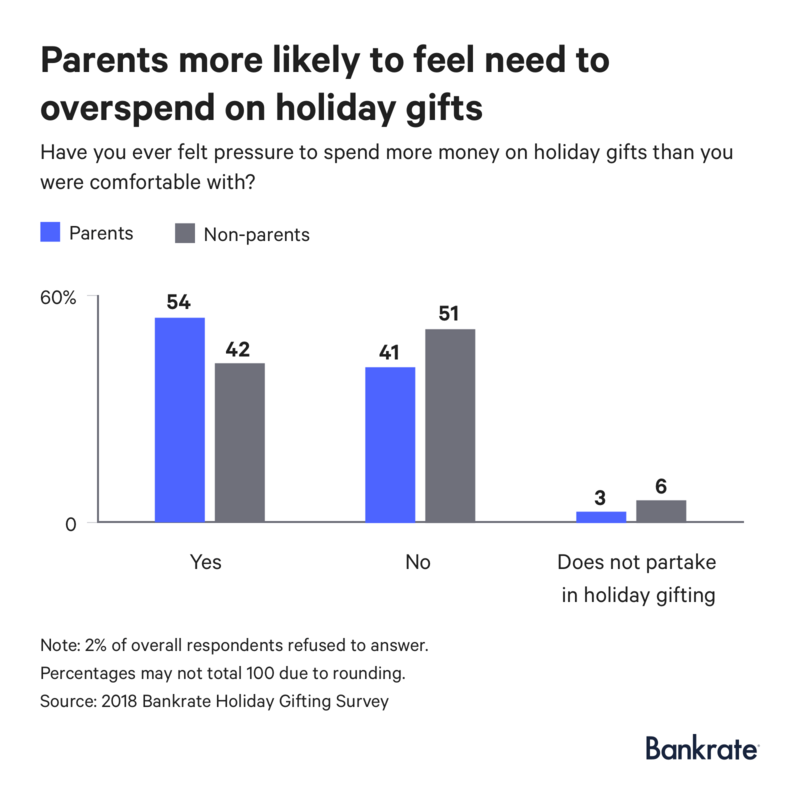 More than half (54 percent) of respondents with children reported feeling pressure to overspend during the holidays, according to the Bankrate survey. 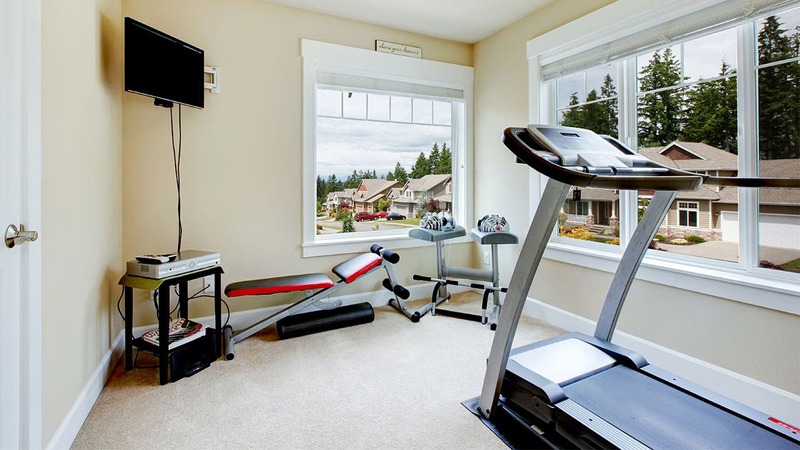 “I always tell parents to step back and recognize that we all have too much stuff. Let’s face it, kids are going to outgrow their clothes and out-mature their toys. 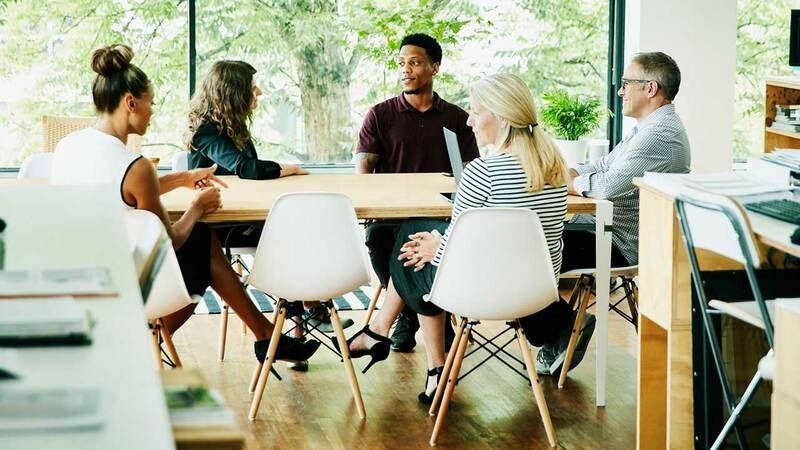 So, if you’re going to spend, spend wisely and be savvy about it,” says Nora Yousif, vice president and financial adviser at RBC Wealth Management. Yousif recommends spending on intangibles like contributions to college funds or shares in an innovative company. Or, families could do what she and her loved ones do and spend on a group vacation. This year, they’re going to Savannah, Georgia. 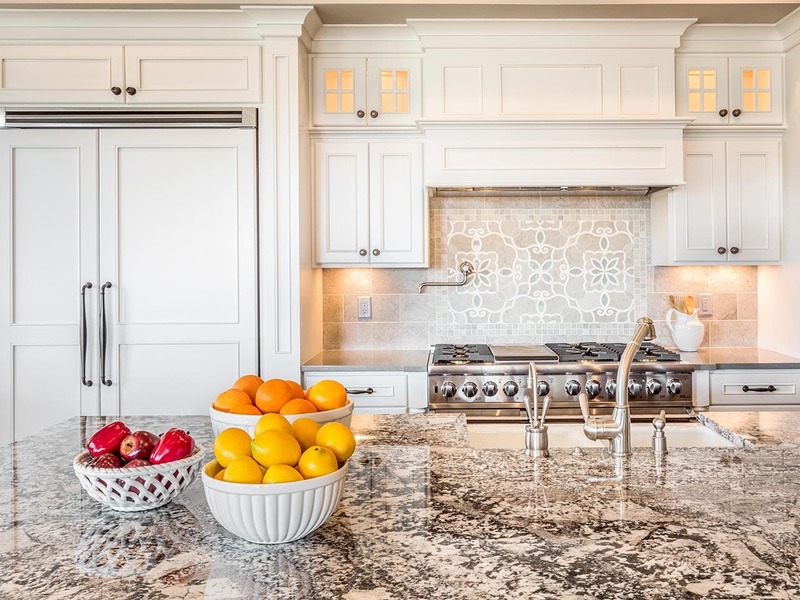 Middle-income earners may feel pressured to keep up with the Joneses during the holidays. 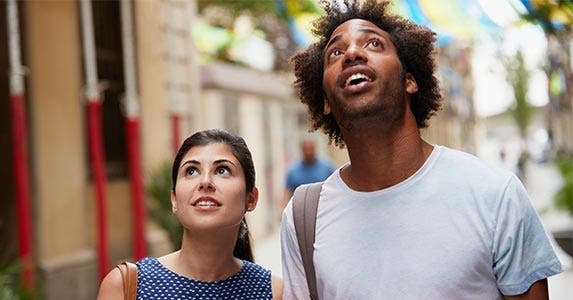 More than half of those earning between roughly $50,000 and $75,000 felt pushed to overspend – a higher percentage than their peers, according to the Bankrate survey. 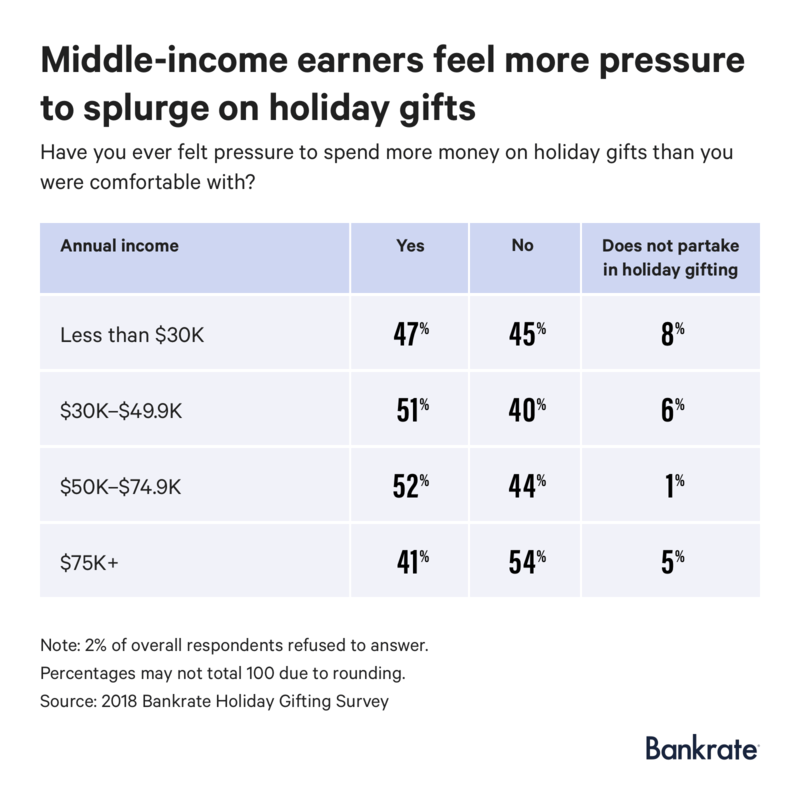 The people in the middle are really squeezed for income, says Mark Hamrick, senior economic analyst at Bankrate. Hamrick recommends people create a budget that looks at how much money they’re bringing in from work and other revenue sources each month, as well as how much cash is going out for bills and other expenses. If there’s money left over, people can use the cash to buy gifts. To make it easier, people can open dedicated savings accounts with strong interest rates and set money aside each month leading up to the holidays. 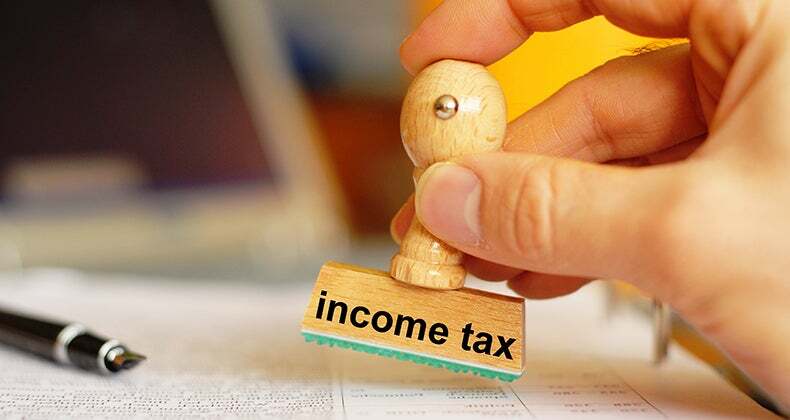 However, if there’s no money available after expenses, people should not reach for their credit cards and take on debt to buy gifts. 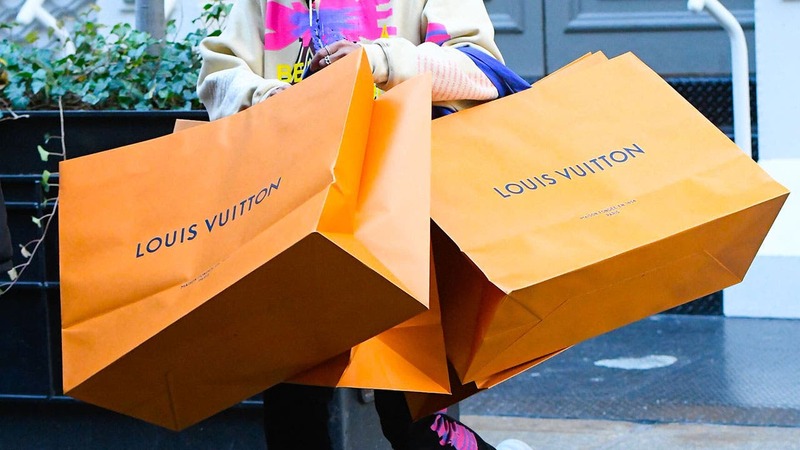 Overall, spending is expected to reach record levels during the holiday season, moving past the $1 trillion mark for the first time, according to an estimate from the market research firm eMarketer. 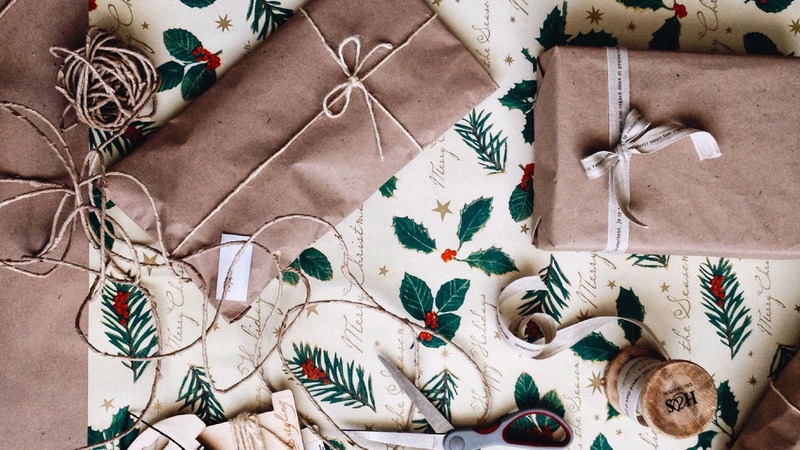 Consumers are expected to spend an average of $638 on gifts during the holiday season, according to the National Retail Federation and Prosper Insights & Analytics. 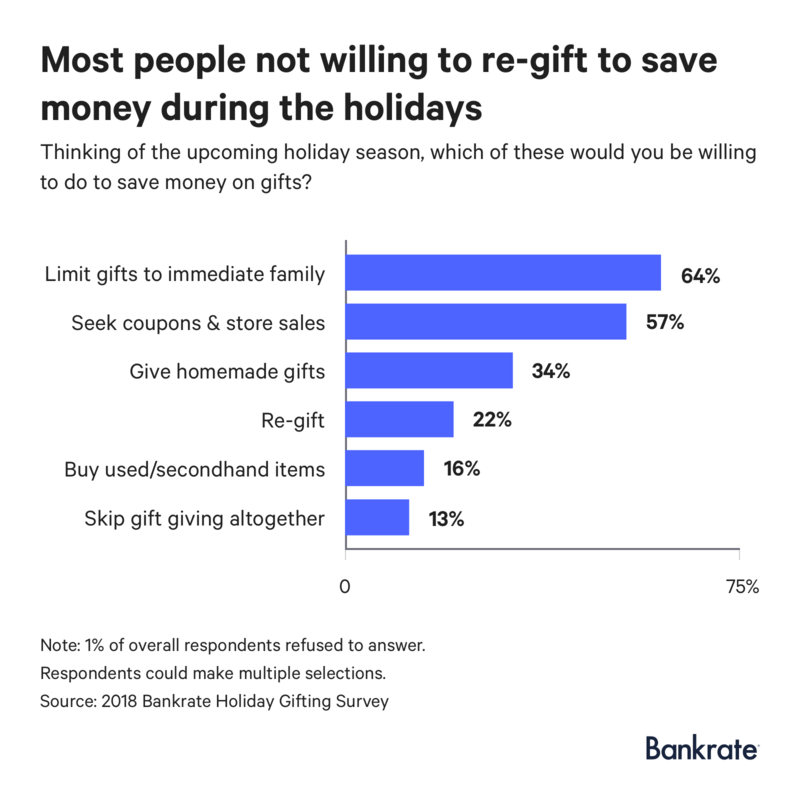 The vast majority of us won’t opt for the nuclear option to save money during the holidays; 13 percent of respondents said they were willing to skip or boycott gift giving altogether during the upcoming holiday season, according to the Bankrate survey. Other options that remain largely unpopular with shoppers looking to save include buying used or secondhand items and re-gifting, the survey shows. The stigma of picking up gifts from thrift shops might be lessening as consumers learn more about the environmental and eco-friendly reasons for looking beyond new gifts, Degges-White says. The social taboo against re-gifting probably comes from the worst-case scenarios we’ve experienced, she says. 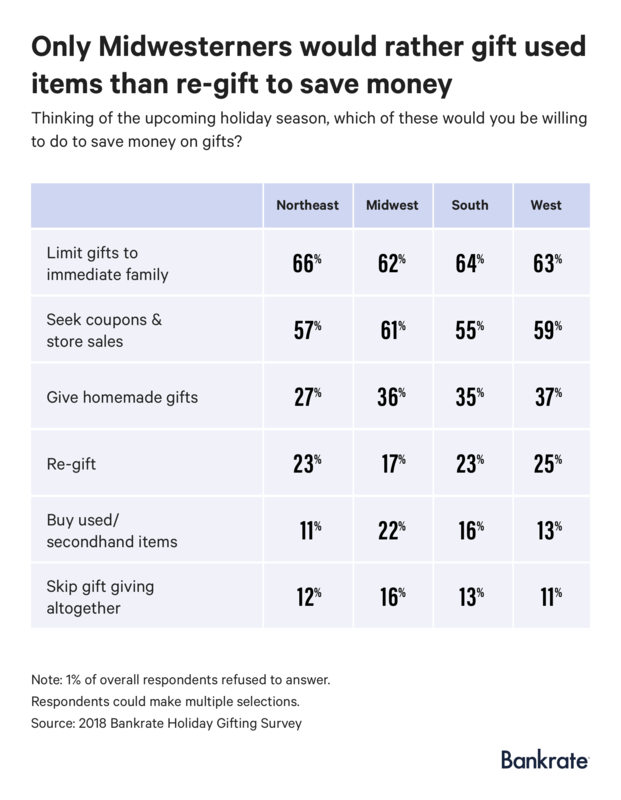 Most respondents looking to save money indicated they felt most comfortable limiting who they’re buying for or actively seeking out coupons and store sales to save money. People get creative in providing a great gifting experience without unwrapping their personal budget. Yankee Swap, Secret Santa and other games are popular for many families and friend groups. This year, more than 10 million people are expected to use Elfster, an online version of Secret Santa, according the California-based company. The study was conducted online in Ispos’ Omnibus using the web-enabled “KnowledgePanel,” a probability-based panel designed to be representative of the U.S. general population, not just the online population. The sample consists of 1,000 nationally representative interviews, conducted between Oct. 12-14 among adults aged 18 and older. The margin of error is +/-3.7 percentage points.